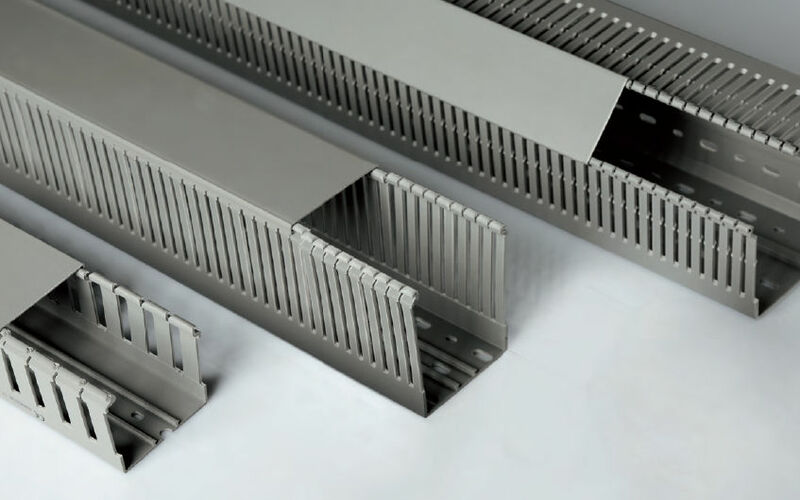 This production line may produce the cable tray, the different sizes through the replace punching moulds to complete. The production line includes uncoiler, leveler device feeding guide,main machine,roll forming cutter,hydraulic system and electric control system. This cable trunking roll forming machine includes decoiler, leveling device, feeding device, feeding guide,punching device, main roll forming machine, feeding guide, hydraulic cutting, hydraulic system, hydraulic station and PLC control system. The line speed is about 10 m/min.